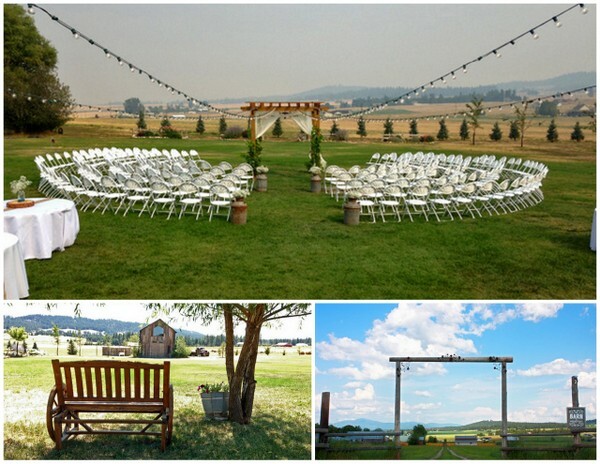 Versatility is key in selecting your wedding venue. 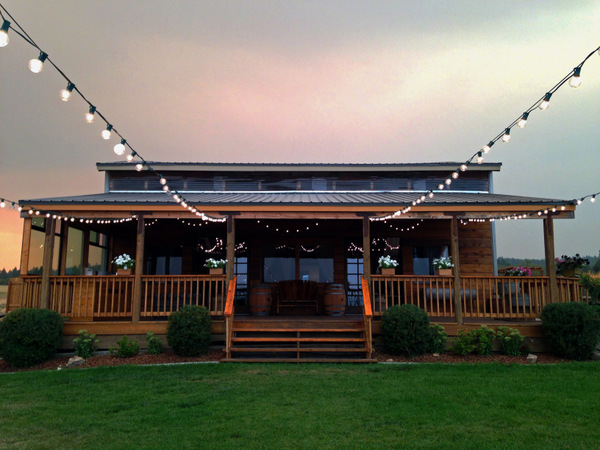 The Barn on Wild Rose Prairie is one of the most versatile we've seen, offering multiple stunning ceremony and reception spaces. 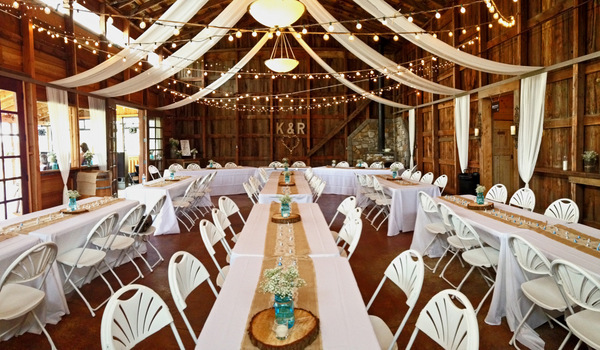 Want a rustic inspired intimate reception? 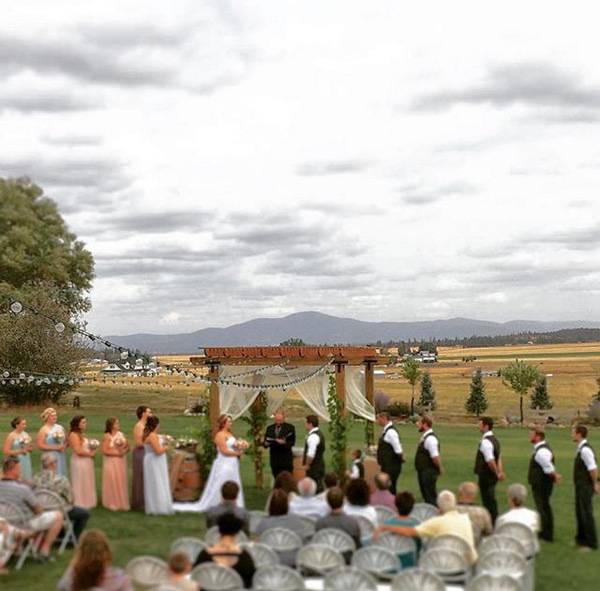 An outdoor ceremony with a beautiful view? This venue truly has it all! We wanted to learn more about hosting a wedding at The Barn on Wild Rose Prairie, check out our interview with them below! Our venue is ideal for a bride that wants the rustic charm of a classic barn wedding without having to sacrifice modern conveniences like indoor plumbing and electricity. 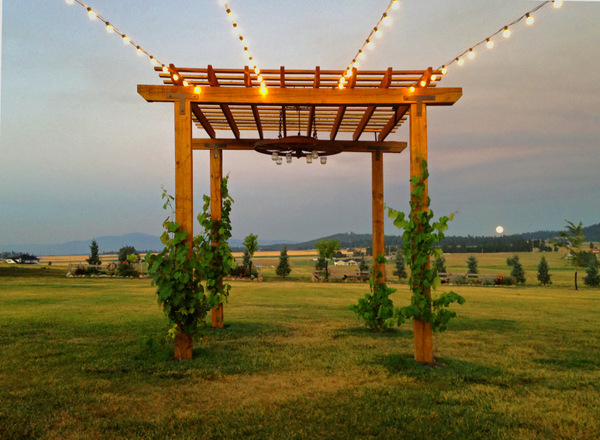 We have a very large well-kept lawn for outdoor ceremonies and/or receptions, and an interior hall for food serving, reception, and/or smaller ceremonies. We are wholly family owned and operated. This farm has been a family venture for four generations now, and we have a true love for farm living. There's something about this farm (not so far away from the civilization that we lack modern conveniences, but far enough away from the hustle and bustle of the city) that makes you put your phone down, unplug, and enjoy the people around you. Time moves a bit slower out here. No one is in a hurry. And that's how your wedding day should feel. It's about sharing a precious moment in time with the people you love. The layout is new and the electrical and plumbing are updated, but the feel is still that of 1960's dairy farm, which was the inspiration for our renovation. My grandpa and great grandpa built this barn with their own hands over 50 years ago and we took great pride in preserving their work. We rebuilt the 640 sq. ft. deck on one side of the barn, remodeled men's and women's bathrooms on the other side, and built a brand new bridal room. Throughout the renovation, most of the wall paneling and decor, including the pair of 6'x10' doors that enclose the entrance, was done with the lumber and various antiques that my grandparents had been storing since the original construction of the farm. For an entirely outdoor affair, we can seat approximately 200 guests. For an indoor ceremony, or an indoor reception we have the capacity for 80-120 guests, depending on the layout. There is ample parking to accommodate any event. 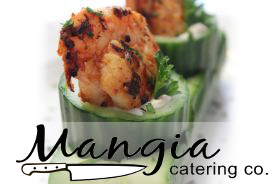 We have an open policy for all catered events. At the barn, they will have access to water, electricity, serving tables (including our 14' covered wagon buffet table), a standard sized refrigerator if they need one, and our new outdoor covered food prep area. 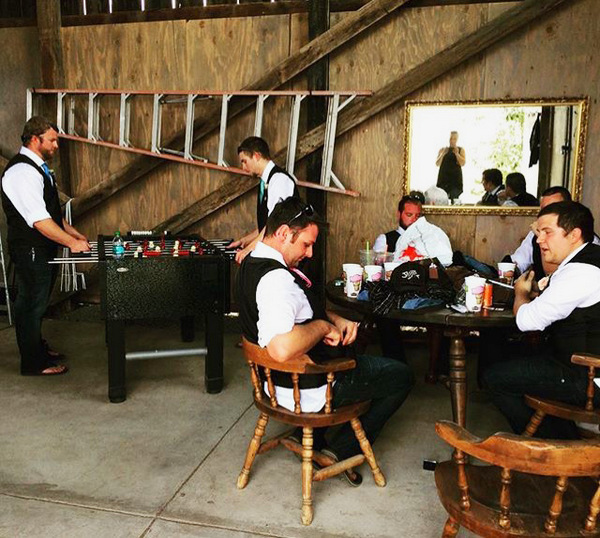 Unfortunately, there is no kitchen in the barn at this time, so the caterer is entirely responsible for food preparation and serving. 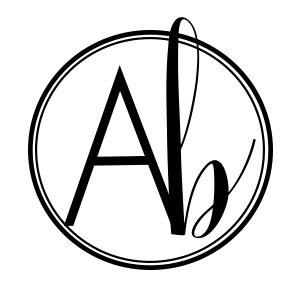 Our venue permits the serving of beer and wine with a banquet permit, but no hard alcohol is permitted. Do a little research before settling on a venue or décor. There are a plethora of beautiful venues in our area with creative and supportive people that you can work with. Each venue and/or theme has strengths and limitations, so don't limit yourselves too early. Also, do not be afraid to hand off responsibility to a capable wedding planner, vendor, DJ, or venue operator. Their job is to guide you and to allow their experience to mitigate your stress so that you, your family and friends can thoroughly enjoy one of the greatest days of your life. 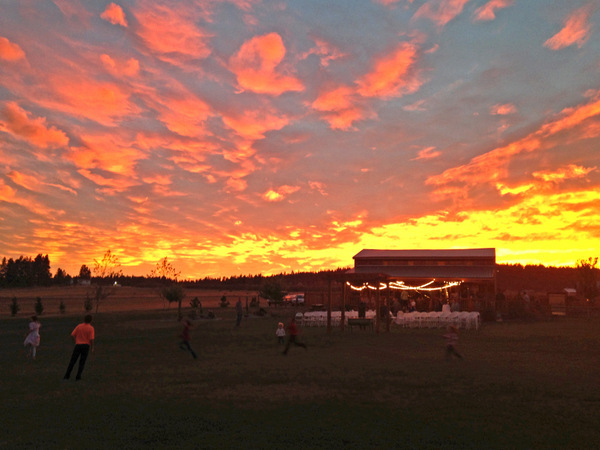 Your joy is why we built The Barn on Wild Rose Prairie. A good friend advised me to keep it simple. Keep it simple for us. Keep it simple for the couple. Thus, we have adopted a one size wedding package. 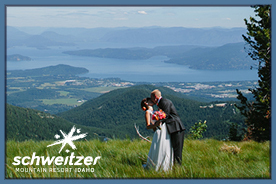 When you book our venue, you receive a 3 hour rehearsal dinner and a 12 hour wedding day occupancy. During those times parking, seating, tables, the bar, bathrooms, a locking bridal suite, decorations, photo backdrops, and the dedication of our team are completely at your disposal. If it is in our power to do it, it is included in the price. 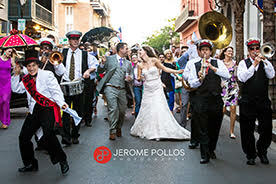 We strongly believe that it is our job to help the bride, groom, family, and guests get to enjoy the event. 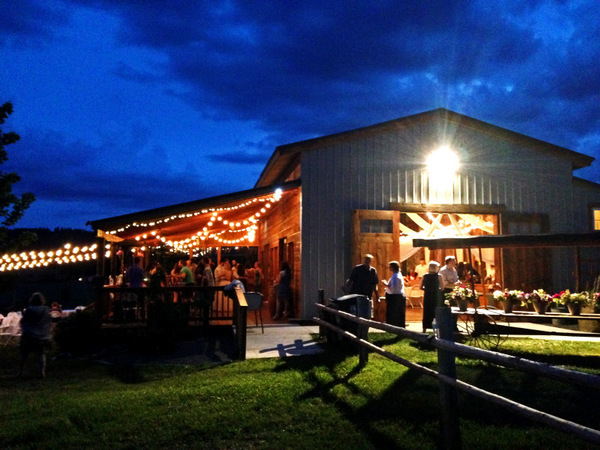 Booking a wedding at The Barn on Wild Rose Prairie is a flat fee of $3100 for a Saturday wedding, and we offer a discount for Sunday weddings during the summer. 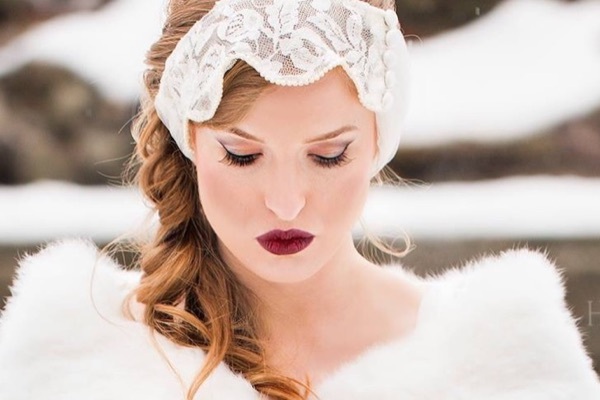 We also strongly believe in brides handing off the responsibilities of the day to a professional wedding planner so the wedding party and guests can enjoy the magic of the event. 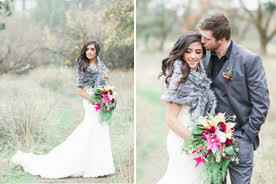 So, we offer a small discount for any couple who hires a professional wedding planner for their wedding day. It is a small way to help offset the cost and to ensure that everyone involved gets to relax and enjoy the celebration. 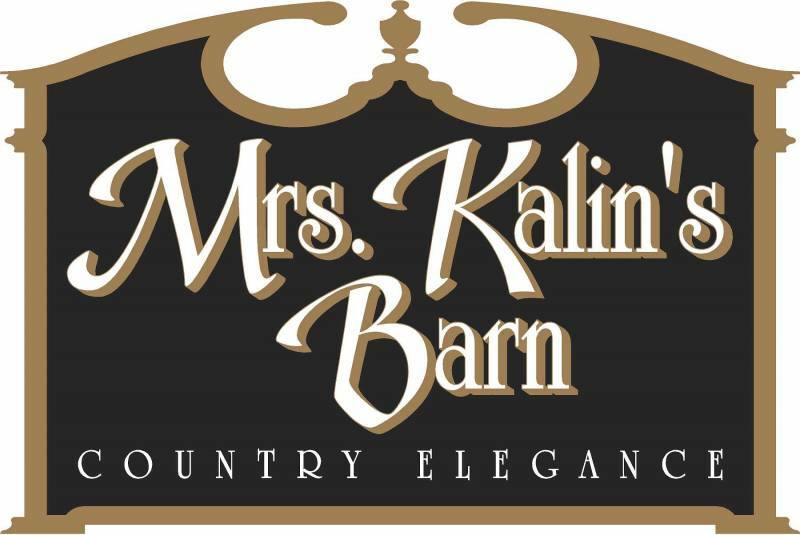 To learn more about The Barn on Wild Rose Prairie, visit their website and Facebook!